At the Gelé Chicken Farm located near Sherbrooke, Quebec, chicken manure is dried and used as fertilizer. The owners were looking to improve their current drying process with an energy and cost efficient alternative to fossil fuels. 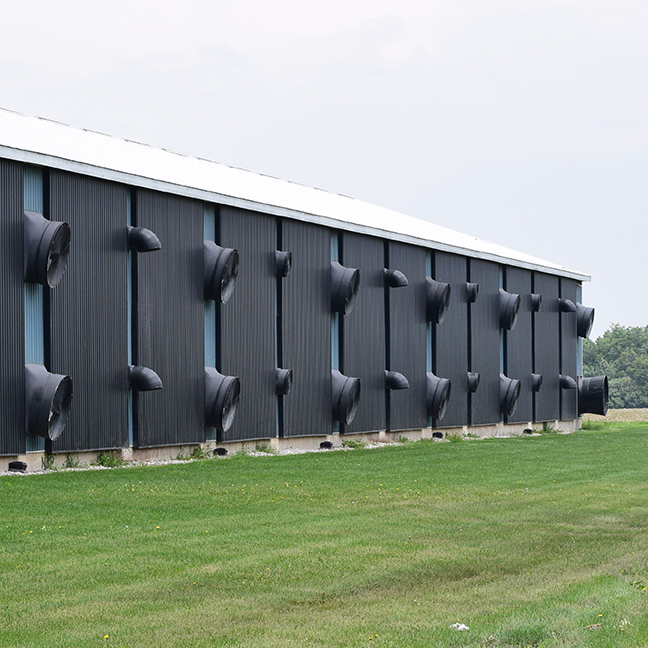 In any drying operation, the cost of heating the air is always a significant amount of money, and given the cold winter climate that is typical in Quebec, it represented a large opportunity to reduce costs. 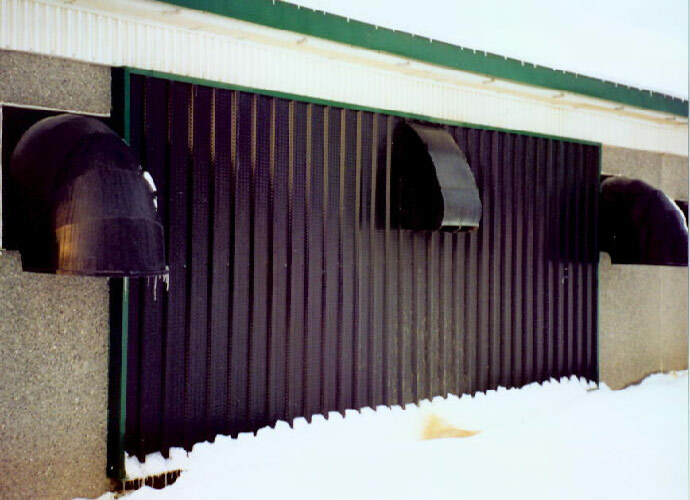 A black SolarWall® system was installed by the owner at a 75-degree angle to maximize energy gain. The system dries 3300 kg of manure a day, from an initial moisture content of 75% to a final moisture content of 25%. The SolarWall® system is connected to a variable speed fan to fully utilize available solar energy. 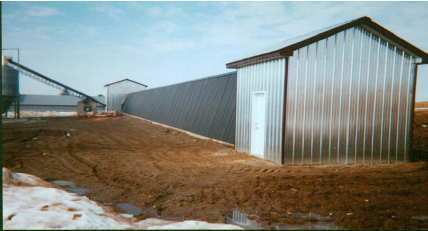 The manure is exposed to the solar heated air while passing over conveyor belts. At the end of the drying chamber, it is ready for packaging and distribution.